 There isn’t a single reference to music in Luke’s account of what happened during Pentecost in Acts chapter 2. The trouble is that these lyrics indicate it is Christians – not God – who exalt Jesus to the highest place, directly contradicting the Scripture on which the song is based. Praise choruses are meant to be sung as simple personal expressions of worship, whereas hymns are usually corporate expressions of worship with an emphasis on some doctrinal truth. A hymn usually has several stanzas, each of which builds on or expands the theme introduced in the first stanza. By contrast, a praise chorus is usually much shorter, with one or two verses, and most of these choruses make liberal use of repetition in order to prolong the focus on a single idea or expression of praise. Few modern praise choruses teach or admonish. Instead, most are written to stir the feelings only. They are too often sung like a mystical mantra—with the deliberate purpose of putting the intellect into a passive state while the worshiper musters as much emotion as possible. There is certainly nothing wrong with the simple, straightforward personal praise that characterizes the best of today’s praise choruses. Neither is there anything wrong with the evangelistic and testimonial thrust of yesterday’s gospel songs. But it is a profound tragedy that in some circles, only contemporary choruses are sung. Other congregations limit their repertoire to hundred-year-old gospel songs. Meanwhile, a large and rich body of classic Christian hymnody is in danger of being utterly lost out of sheer neglect. Obviously, then, neither the antiquity nor the popularity of a gospel song is a good measure of its worthiness. And the fact that a gospel song is “old fashioned” is quite clearly no guarantee that it is suited for edifying the church. When it comes to church music, older is not necessarily better. In fact, these same “old fashioned” gospel songs that are so often extolled by critics of modern church music are actually what paved the way for the very tendencies those critics sometimes rightly decry. In particular, the lack of substance in so much of today’s music is the predictable fruit of the wholesale shift away from hymns to gospel songs, which began sometime in the late nineteenth century. To evaluate worship biblically is to be willing to step back from our own preferences and experiences and ask, “What pleases God in worship?” We know that not all worship and music please Him (see Ex. 32:4-6). We therefore need to examine three aspects of worship music if we are to bring it in line with Scripture: 1) the words that we sing. 2) the melodies of the words we sing, and 3) the instruments we use to accompany the singing. True worship is faithful to the doctrine of God as revealed in Scripture. Even the most well-intentioned believer may unwittingly end up in idolatry--worshiping a god he has fashioned in his own image. Is God omnipresent? It is not clear from the words of this song, specifically the third line, even when the entire song is considered. The worship of God, and thus, also the music of worship, should correspond to God’s character. How we worship should reflect the kind of God He is. Whereas the old hymns expressed the theology of the church in profound and perceptive ways with winsome, memorable language, today’s songs reflect a shallow or non-existent theology … songs that merely repeat a trite idea, word or phrase over and over again. Songs like these are not worship, though they may give the churchgoer a religious feeling. They are mantras which belong more in a gathering of New Agers than among the worshiping people of God. Should Baptist churches sing “Majesty”? Question: What do the term “kingdom authority” and the expression “Kingdom authority flows from His throne” mean? The answer determines whether Baptist churches should consider singing “Majesty” or not. Jack Hayford (prominent pastor of Church-on-the-Way Foursquare Church, founded by Aimee Semple McPherson, and with prominent members such as Pat Boone, TBN founders Paul and Jan Crouch) wrote this song in 1977 after he and his wife visited England. “Majesty” describes the kingly, lordly, gloriously regal nature of our Savior – but not simply as an objective statement in worship of which He is fully worthy. “Majesty” is also a statement of the fact that our worship, when begotten in spirit and truth, can align us with His throne in such a way that His Kingdom authority flows to us – to overflow us, to free us and channel through us. We are rescued from death, restored to the inheritance of sons and daughters, qualified for victory in battle against the adversary, and destined for the Throne forever in His presence. Ptr. David Cloud in his book “Contemporary Christian Music Under the Spotlight” (1998) argues that “Majesty” teaches Pentecostal kingdom doctrine. Ptr. Cloud is an oftentimes controversial figure and we should not take his view as the final word in this matter. However, considering Hayford’s Pentecostal theology, how else can we explain what the line “kingdom authority flows from His throne” means? God “lost control” of the earth to Satan at that time, and has since been looking for a "covenant people" who will be His “extension,” or “expression,” in the earth and take dominion back from Satan. This is to be accomplished through certain “overcomers” who, by yielding themselves to the authority of God’s apostles and prophets for the Kingdom Age, will take control of the kingdoms of this world. These kingdoms are defined as all social institutions, such as the “kingdom” of education, the “kingdom” of science, the “kingdom” of the arts, and so on. Most especially there is the “kingdom” of politics or government. 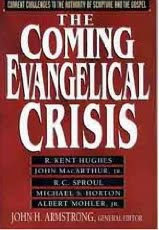 Those who hold to Kingdom Theology assume that the Church (some believe only a small group within the Church, called “overcomers”), under submission to the latter day apostles and prophets, is that man child, and that it has the responsibility to put down all rebellion and establish righteousness. This necessitates the utilization of supernatural power and the full implementation of the gifts of the Holy Spirit. The many-membered man child must take control of the earth before Jesus can return. Necessary to the Kingdom Age is “the Restoration of the Tabernacle of David,” defined as the completion of perfection of the Bride of Christ - a Church without spot or wrinkle. Note: I do not wish to nor can impose on anyone my view about “Majesty”. I do believe in the Biblical distinctives of Baptists, specifically, autonomy of the local church (download PDF) and individual soul liberty (download PDF).